Because your beard asks for our potions, and you need instruments to be impeccable: Brushes for Beard Male Brush. 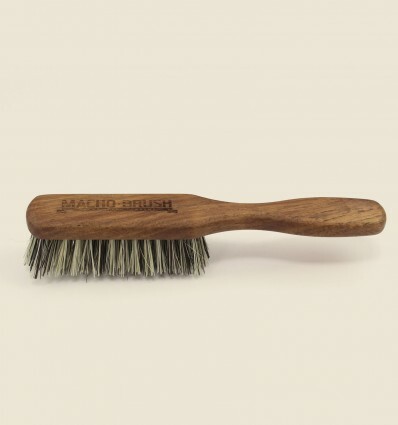 Vegan brushes for Macho beard are composed of vegetal fibers of the agave lechuguilla. The Vegan Brush has a handle for a more comfortable hold in the brushing of shorter beards. It is even recommended to tame the hair. The handle is sculpted with manual processes in high quality walnut, with a finish that offers greater comfort and makes it very pleasant to the touch. Measurements: 155 x 25 mm. "Totally handcrafted, and with the unmistakable Macho label"